A bicyclist was seriously injured in an overnight crash. The crash took place Friday evening in Northampton, Massachusetts. The Northampton Police were called to a scene at New South Street at approximately 1:00 am upon a report of a bicyclist striking a vehicle. Officers responded along with members of the department’s accident reconstruction team. While on scene, officers were able to determine that a vehicle was stopped at the stoplight in the intersection. The bicyclist came up from behind and struck the vehicle. Northampton Police Sargeant Greg Korepta says the driver of the vehicle remained at the scene and cooperated with the police investigation. At this time, no charges have been issued against the driver and it is unclear if any will be forthcoming. The bicyclist’s condition was not immediately available. Bicycle accidents occur across our state on a frequent basis. Bicyclists are at greater risk of death or serious injury than the driver of a motor vehicle simply because a bicycle does not offer the types of protection that are offered by a vehicle. 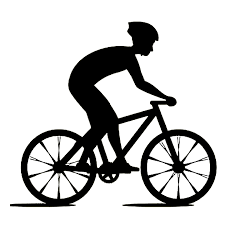 The bicyclist usually is only wearing a helmet and has no shield from vehicles on the roadway. When a driver’s negligence results in injuries to a bicyclist, the bicyclist may have a claim for personal injury against the driver. In this case, it is not apparent that the driver was negligent, however, the investigation remains ongoing. At the Law Offices of Jeffrey S. Glassman, we routinely handle bicycle accident cases and we know what must be shown in order for the bicyclist to recover. If the driver is determined to be negligent, the next step is to determine damages. Damages is a legal term for how much money you are owed based on a number of factors, including your medical bills, lost wages and out of pocket expenses. You need an experienced lawyer to help you determine the damages arising form your accident. Our years of legal experience, both in and out of the courtroom help us to serve our clients at the highest level. If you’ve been injured in an accident, give us a call at 617-367-2900 for a free evaluation of your case today. We are waiting to hear from you.